Every year, 137,000 Americans die from strokes. On average, one person dies from a stroke every four minutes in The United States. 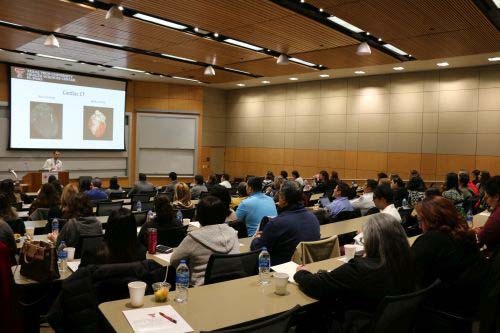 That is why University Medical Center Foundation supports conferences such as the recent University Medical Center of El Paso Stroke and Cardiac Conference held last week at Texas Tech University Health Sciences Center El Paso. The conference was hosted by University Medical Center of El Paso, Texas Tech University Health Sciences Center of El Paso, Paul L. Foster School of Medicine, Border Regional Advisory Council and UMC Foundation. Physicians, residents, registered nurses, first responders, and rehabilitation services personnel received more than a dozen pertinent presentations on the treatment of strokes. This Conference provided with credit hours for continuing education.